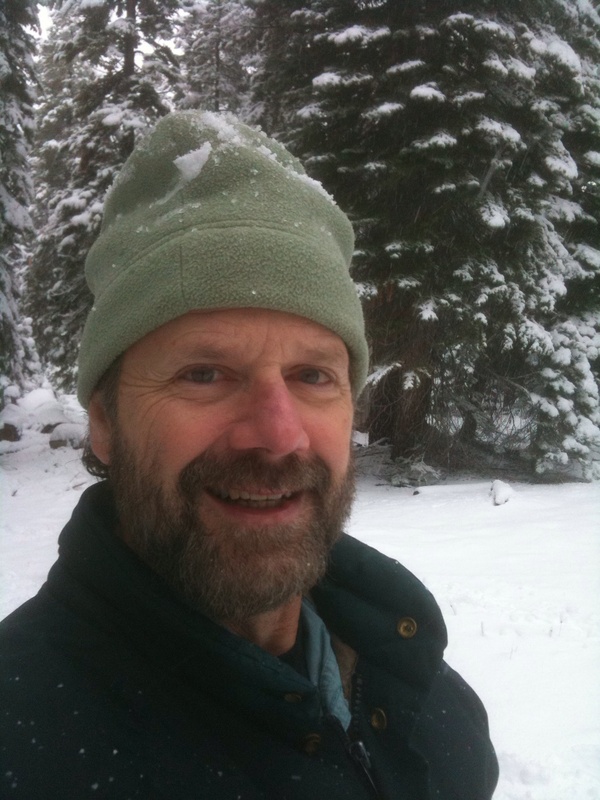 Walter Boyce, wildlife veterinarian at the University of California Davis, has studied bighorn sheep and mountain lions for more than 30 years. Boyce enjoys wild places and the animals that inhabit them. Photograph provided by Professor Boyce. 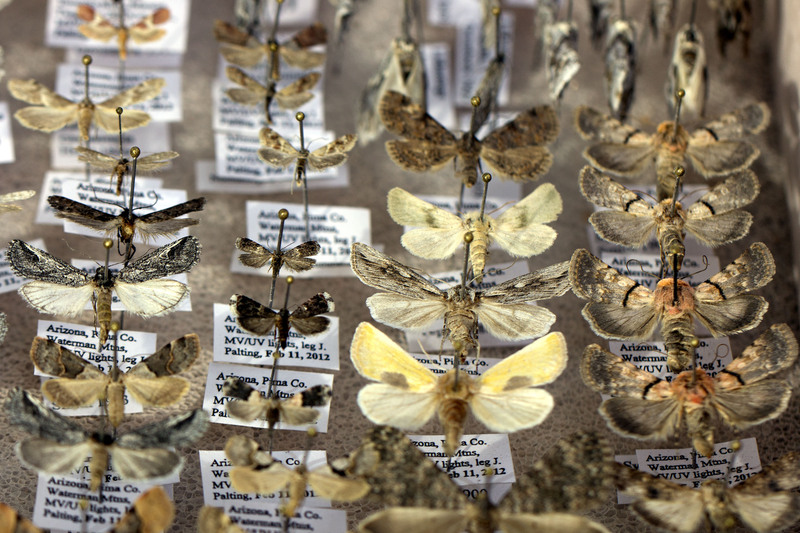 The moth collection of John Palting, one of the moth hunters featured in the story. Photography by Susan E. Swanberg. Bathed in violet light, two men search the white expanse of cloth, oblivious to their surroundings. Disoriented insects of various shapes and sizes swoop around the men’s heads. Many of the insects eventually land on the sheet. With a deft motion, one of the men captures a specimen and examines the vial in which a pale-colored moth flutters. Ryan Sprissler laughs about the prospect of being interviewed. 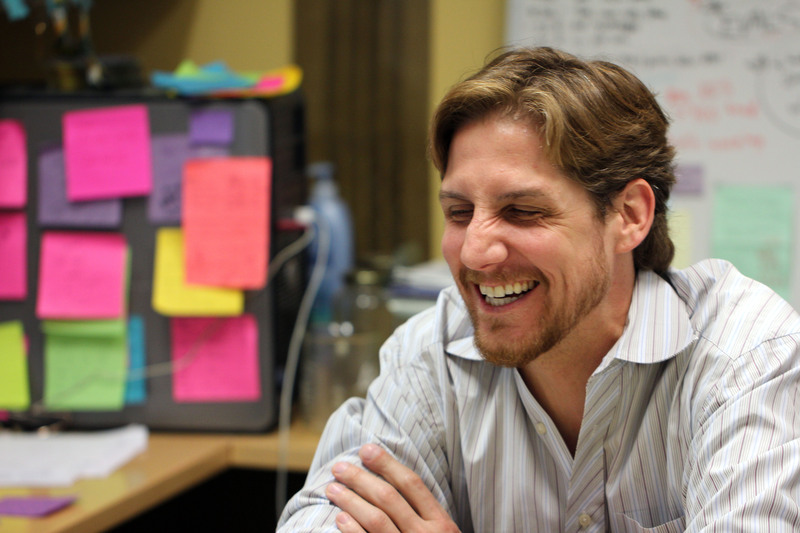 His colleagues at the University of Arizona Genetics Core in Tucson, Ariz., appreciate Sprissler’s self-deprecating sense of humor and upbeat attitude. Photograph by Susan E. Swanberg. The University of Arizona Genetics Core (UAGC), located in the Thomas W. Keating Bioresearch Building on the UA campus, is home to rows of rectangular machines that hum busily at all hours of the day and night. These machines, with names like Illumina HISEQ 2000 and Ion Torrent, are the inanimate workhorses of the UAGC, producing hundreds of thousands of pieces of data in a single run. 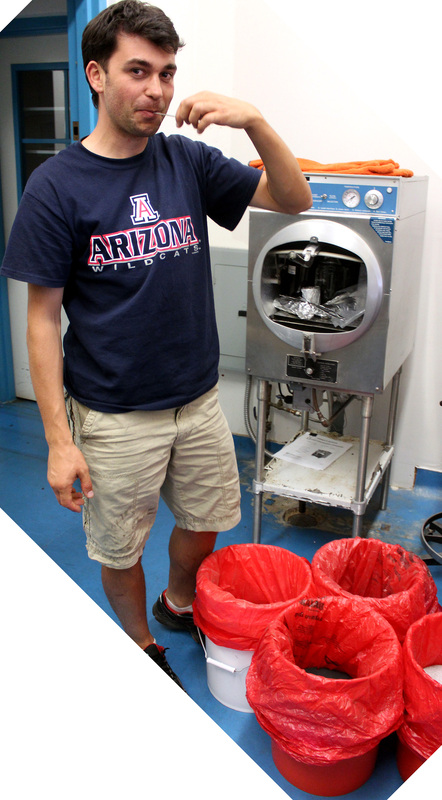 Dragos Zaharescu, Ph.D. tastes ground rock used in his plant medium. Photograph by Susan E. Swanberg. With a mischievous grin and gleaming dark eyes, Dr. Dragos Zaharescu raises a small spatula to his lips and tastes. At his feet are four containers, each filled with a different type of ground rock—granite, basalt, rhyolite or schist. Zaharescu will blend this rock with bacteria or fungus, creating a sandy medium for seedlings he grows here under the glass dome of Biosphere 2. On May 12, 2011, Arby and Pat Little Soldier of Lakota Ranch near Greenville, Texas, rejoiced over the birth of a rare white buffalo calf, named Lightning Medicine Cloud. The white buffalo, more accurately called a bison (Bison bison), has long been a symbol of Native American spirituality, hope and rebirth. On April 30, the much-revered calf, called “The Hope of All Nations” by the Little Soldiers, was slaughtered and skinned by an unknown rustler or rustlers. What are the chances that another white bison calf will be born any time soon? The National Bison Association estimates that only one out of 10 million births results in a white calf. While the genetics of white bison are not fully understood, four mechanisms are possible. I climb into the truck and check the map again. After I leave Tucson, I-10 E to El Paso drifts past towns with names like Dragoon, Cochise and Bowie. My daughter should be with me. This should be her pilgrimage. As I drive, the sights and smells of the Southwest bombard me through the gap in the driver’s side window—dry desert sand, sage, the smoky smell of mesquite. I’m headed to sacred places that don’t belong to me….